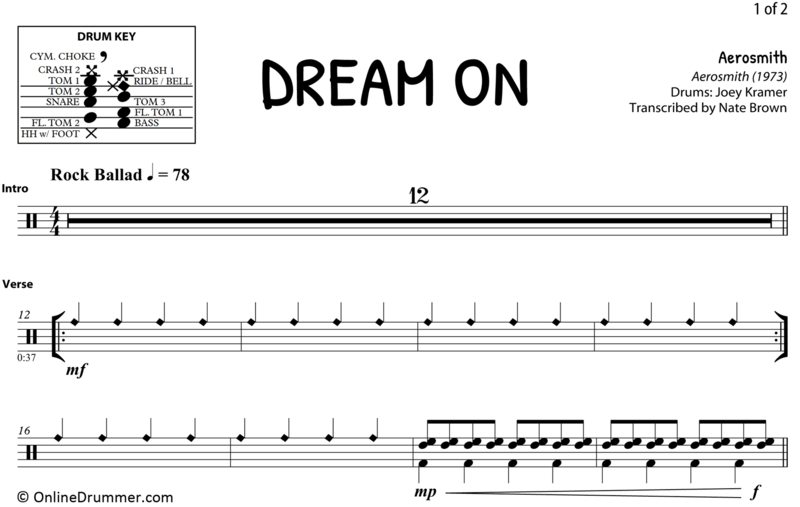 The full drum sheet music for “Dream On” by Aerosmith from the album Aerosmith (1973). 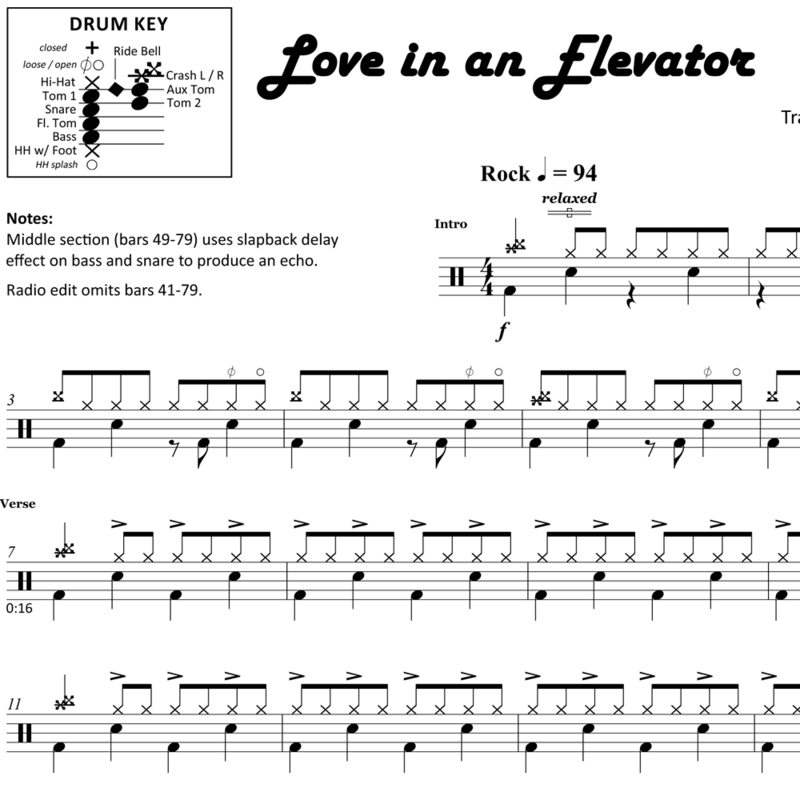 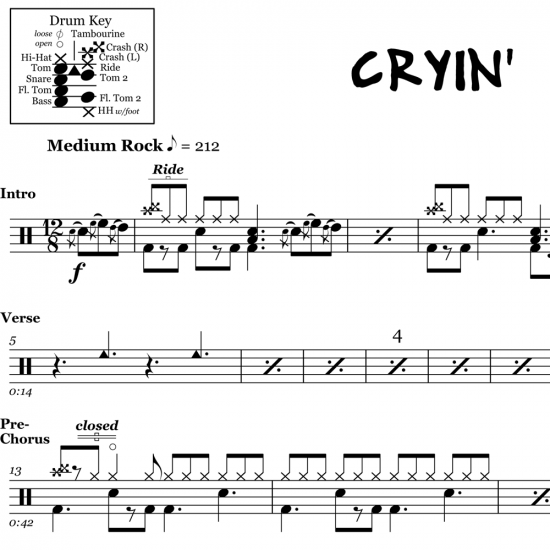 The full drum sheet music for "Cryin'" by Aerosmith from the album Get A Grip (1993). 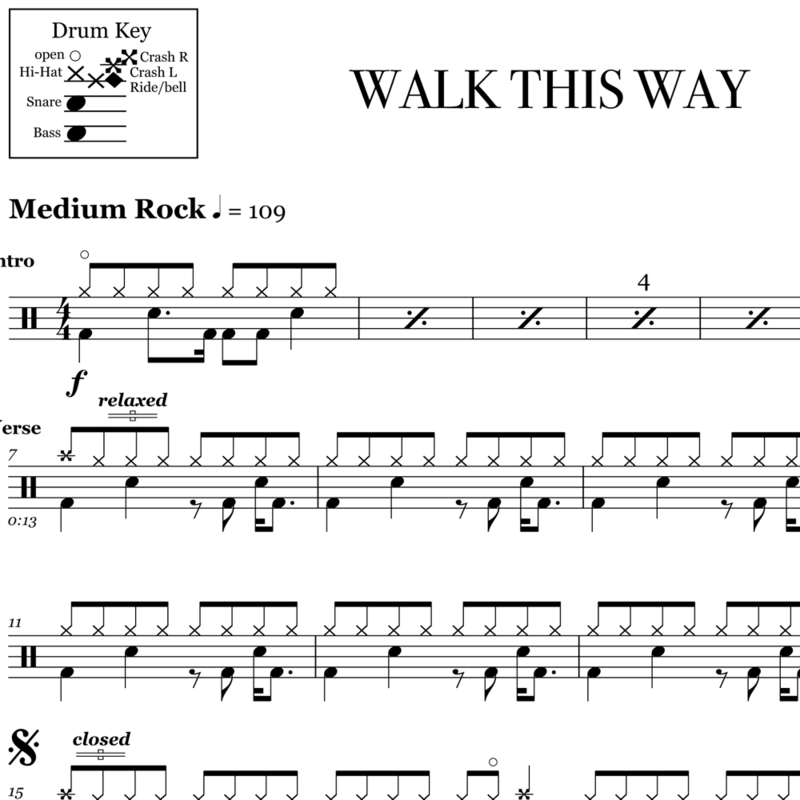 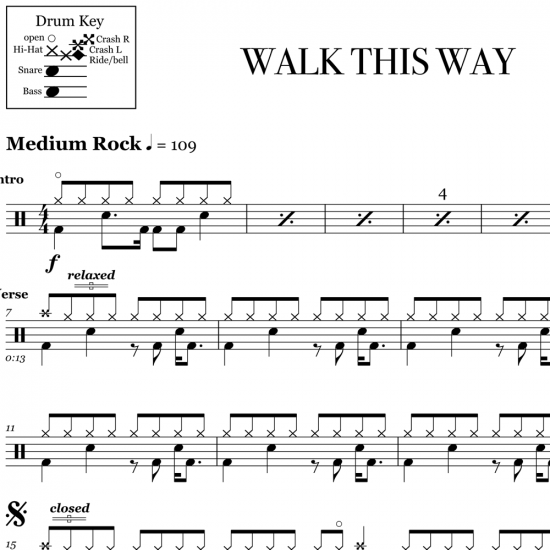 The full drum sheet music for "Walk This Way" by Aerosmith from the album Toys in the Attic (1975). 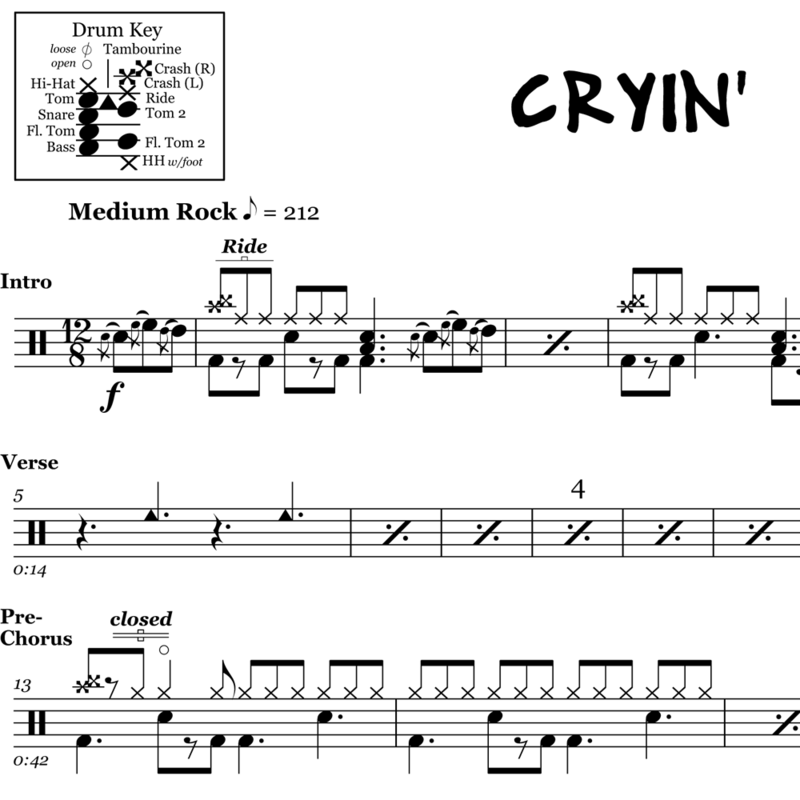 The full drum sheet music for "I Don't Want To Miss A Thing" by Aerosmith from the album Single (1998).